Nebraska is the land of wide open spaces, fossil beds, sand dunes, and vibrant university towns. With an abundance of natural and cultural attractions across the state, it’s fitting that Nebraska has an eclectic array of accommodations to match. From a floating boutique hotel on the Missouri River to an opulent historic urban hotel to a Western trading post in the Sandhills, travelers have several unique choices. Travelers looking for an off-the-beaten-path resort will find it at Merritt Trading Post Resort. Located in Western Nebraska’s famous Sandhills, guests can experience nature at its best. Activities include geocaching, bird watching, hiking, mountain biking, swimming, boating, fishing, camping, and stargazing. Lake Merritt has 44 miles of white sand shoreline for enjoying a little beach time. There are 15 rustic cabins on the property and seven campsites with hookups. Resort amenities include paddle boat and boat rentals, RV hookups, laundromat, showers, and fishing guide services. An on-site store sells groceries, souvenirs, and clothing. Propane, diesel, and marine gas are available. There is a dining room and lounge with a full menu, big screen TV, billiards table, and panoramic lake views. Hilton Omaha is located in downtown Omaha, Nebraska, close to the iconic Old Market Entertainment District with its cobblestone streets, boutique shops, eclectic restaurants, and Saturday Farmers’ Market. It’s also walking distance to TD Ameritrade Ballpark – home of the College World Series, and a short seven-minute shuttle ride to Eppley Airfield Airport. Modern rooms feature earth tones, contemporary furnishings, a separate seating area, 32-inch HDTV, abstract artwork, and large windows. Suites add sofa sleepers. Executive upgrades include complimentary snacks and breakfast. 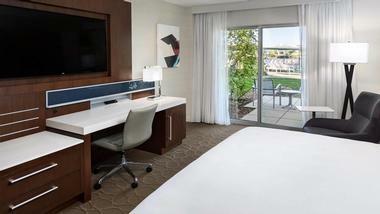 Hotel amenities include a FedEx Business Center, enclosed connected walkway to Omaha’s convention center, pool, fitness room, gift shop, concierge desk, and room service. The Liberty Tavern Restaurant serves home-style and barbecue comfort foods, and the lobby Liberty Tavern Lounge serves drinks and lite bites. 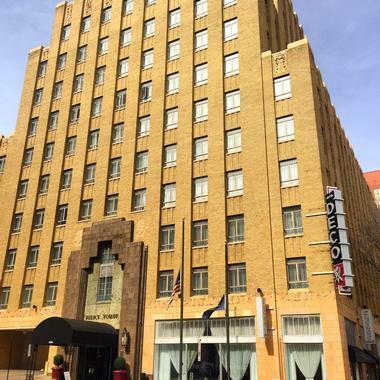 Hotel Deco, listed on the National Register of Historic Places, is also Nebraska’s only property named to the Historic Hotels of America. This historic, four-diamond, landmark hotel underwent a complete renovation in 2010. Eighty-nine luxurious guestrooms and suites feature sophisticated décor, wood flooring, elegant furnishings, and high-end amenities. Guests should expect 37-inch HDTV, complimentary Wi-Fi, iPod docking station, in-room safe, plush linens, and luxurious beds. Hotel amenities include lobby coffee service, overnight shoe shine, fitness center, and in-room massage services. 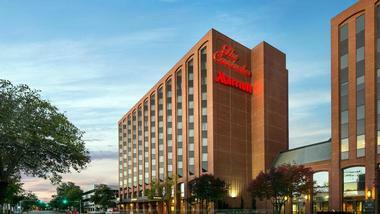 The hotel is within walking distance of Omaha’s Old Market Entertainment District, and TD Ameritrade Ballpark. 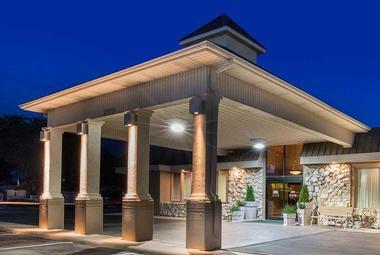 Ramada by Wyndham Midtown Grand Island hotel and conference center is centrally located in Grand Island, Nebraska. It is in close proximity to both the downtown area, and a few regional attractions like Stuhr Museum of the Prairie Pioneer, the Platte River, and Five Points Arena. Rooms have flat-screen TVs, coffeemakers, mini-fridges, microwaves, and free Wi-Fi. Suites add separate living rooms, hot tubs and/or sofa sleepers and wet bars. Hotel amenities include complimentary high-speed Internet, airport shuttle to Grand Island Central Regional Airport, free breakfast buffet, free parking, indoor pool and hot tub, business center, fitness center, express check-out, and a children’s play area. Hotel guests will find classic American fare at the hotel’s Images Bar & Grill. Lied Lodge & Conference Center overlooks the 260-acre Arbor Day Farm in Nebraska City, Nebraska. Contemporary rooms have a natural ambience featuring a woodsy gray color palette, light wood furnishings, wood ceiling, and arboretum views. Some rooms also have vaulted ceilings, and terraces. Suites also have kitchenettes and extra living areas. Room amenities include flat-screen TV, complimentary Wi-Fi, work desk, leather side chair, mini-fridge, and coffeemaker. The hotel has two pools – one for adults, one for kids – that are indoors, plus a sauna, hot tub, fitness room, and spa. The hotel’s signature restaurant is Timber Dining Room, serving farm-to-table dishes in a chic ambience with a lovely terrace. The Library Lounge also serves food along with cocktails, wine, and beer. Magnolia Hotel Omaha is a boutique hotel three blocks from downtown Omaha’s historic Old Market Entertainment District. The 1923 building is on the National Register of Historic Places and is the perfect blend of historic grandeur and modern design. Lavish rooms are a blend of vintage details and contemporary décor, and feature flat-screen TVs with premium channels and pay-per-view movies, luxurious Magnolia bedding, complimentary Wi-Fi, and signature bath products. 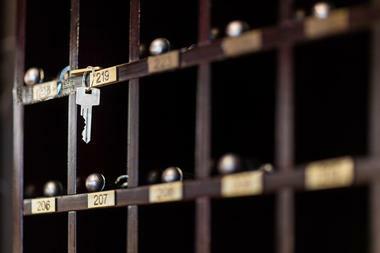 Suites and lofts offer additional amenities and extended stay perks. Hotel amenities include complimentary airport transportation, 24-hour fitness center, business center, high-speed Wi-Fi, complimentary freshly-baked cookies each evening, and paid valet parking. 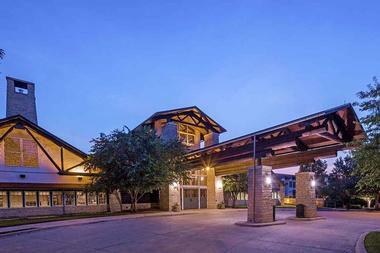 Delta Hotels South Sioux City Riverfront is situated along the Missouri River in South Sioux City, Nebraska. 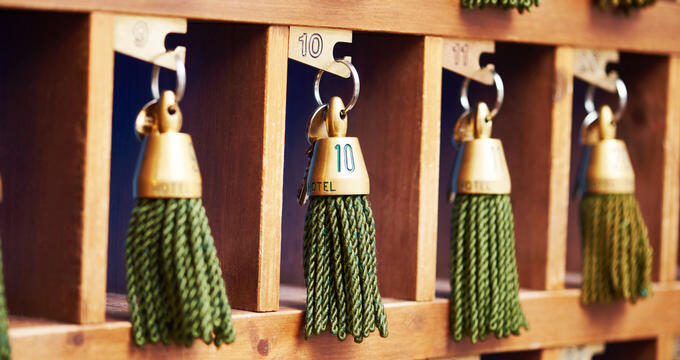 The newly updated hotel is equally suitable for both leisure and business stays. Guests will appreciate the hotel’s close proximity to Sioux City Convention Center, Tyson’s Event Center, Louis and Clark Interpretive Center, and Launchpad Children’s Museum. Rooms have premium bedding, contemporary décor, complimentary bottled water, upscale bath products, mini-fridge, flat-screen TV, and complimentary Wi-Fi. Hotel amenities include airport shuttle service, both indoor and outdoor pools, 24-hour fitness center, conference and event space with state-of-the-art technology, free Wi-Fi throughout the hotel, and pet-friendly rooms. Embassy Suites Lincoln Hotel is situated in downtown Lincoln, Nebraska, across the street from the Lied Center for Performing Arts. It’s also a short walk to the University of Nebraska – Lincoln and to the restaurants, boutiques, and galleries of the Historic Haymarket District. This all-suites hotel features spacious two-room suites with separate bedroom and living areas, two TVs, sofa sleeper, table and chairs, armchair, kitchen, microwave, mini-fridge, wet bar, and coffeemaker. Premium suites include Wi-Fi, Bluetooth docking station, high-end coffeemaker, in-suite snacks and specialty coffees. Accessible accommodations are available. Stays come with complimentary drinks and appetizers at an Evening Reception, and complimentary made-to-order breakfast, both served in the beautiful hotel atrium. The hotel has a pool, hot tub, and fitness room. River Inn Resort is a boutique, 18-room, floating bed and breakfast on the Missouri River. Situated outside the charming village of Brownsville, Nebraska, this B&B offers guests a dose of tranquility. Elegant rooms feature pillow-top mattresses, HDTV, coffeemaker, Wi-Fi, refrigerator, microwave, and radio. Guests will find event spaces, conference rooms, and fitness equipment onboard. Resort amenities also include a complimentary deluxe breakfast, and a sun deck on the second level equipped with books and magazines, games, and binoculars. Spirit of Brownville is a 150-passenger riverboat offering guests dinner cruises on the Missouri River. The nearby village of Brownsville offers a village repertory theater, weekend concerts, premier book stores, art galleries, museums, boutique shops, an arboretum, and a winery. 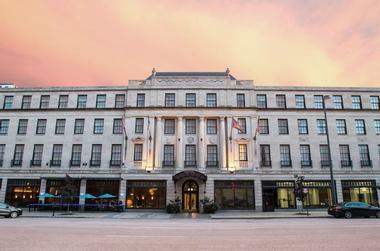 The Lincoln Marriott Cornhusker Hotel is centrally located in Lincoln, Nebraska, offering easy access to Lied Center for Performing Arts, the University of Nebraska – Lincoln and Memorial Stadium, the Historic Haymarket District, the Railyard Entertainment District, and the State Capitol. Beautiful, contemporary rooms are bursting with amenities, including high-speed Internet, complimentary Wi-Fi, marble bathroom with Bath & Bodyworks spa products, coffee service, mini-fridge, and many more. Guests at the Cornhusker can expect a 24-hour fitness center, heated indoor pool, complimentary airport shuttle, paid parking, conference and event space, pet-friendly rooms and a convenience store. Miller Time Pub & Grill, the hotel’s main restaurant, serves buffet, continental, and full American breakfasts, plus lunch and dinner. Café at The Cornhusker also serves breakfast, and there is a Starbucks on site.